VR has become a massive hit this generation and it appears that Sony is still trying to get new adopters on the latest gaming enthusiast tech. The PlayStation VR is Sony’s answer to gamers wanting to dive into VR gameplay, though the price for a headset will cost players about as much as a brand new console. Now that the PlayStation VR has been out for some time now, we are seeing a slash towards the headset price with the introduction to a new bundle. This announcement comes from Vice President of PlayStation Marketing, Mary Yee, on the official PlayStation blog. In the post, Mary Yee alerts readers that a brand new PlayStation VR bundle is coming to retailers on September 1, 2017. This particular bundle comes with the PlayStation VR headset and the PlayStation Camera for just $399. Likewise, this bundle has been noted to be the core bundle of the PlayStation VR moving forward. “This is a great time to jump into the PlayStation VR experience, with a huge lineup of over 100 games, including recent favorites like Arizona Sunshine, SUPERHOT VR, Tiny Trax, Fantastic Contraption and Dino Frontier. Furthermore, the post reveals that the already existing bundle, known as the PlayStation VR Worlds bundle, will be cut down to $449. 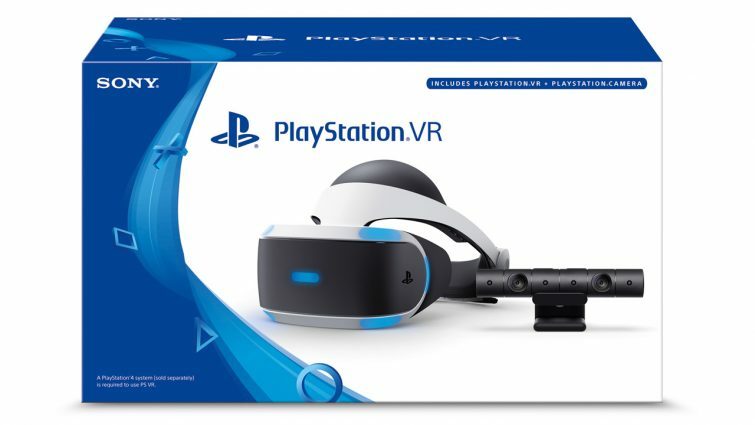 With this particular bundle, players will be receiving the PlayStation VR headset, a PlayStation Camera, two PlayStation Move controllers, and lastly, a copy of the PlayStation VR Worlds video game. With this new bundle along with the announcement of the previous bundle going down in price, we may find more gamers opting to buy into the VR movement this fall. Are you planning on picking up the bundle this fall? Let us know by leaving a comment down below!